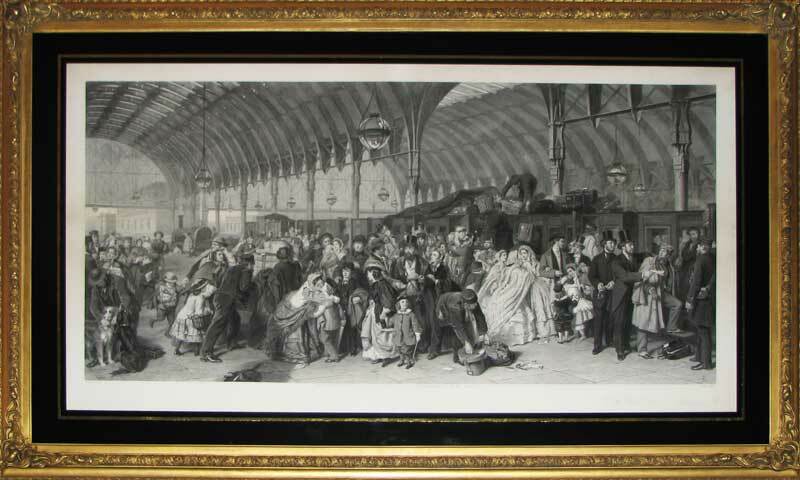 This magnificently evocative scene depicts the departure for Scotland of a north bound train from Paddington Station. Along with Frith's other masterpieces Derby Day and Life at the Seaside it gives us a wonderful insight into Victorian life. It conveys all the energy and excitement of The Great Western Railway when train travel was opening up the country like never before. Frith has depicted himself, and his family, in the picture; they are to be seen in the foreground, slightly to the left, as they bid farewell to their son who clutches his cricket bat and prepares to return to school for the summer term. 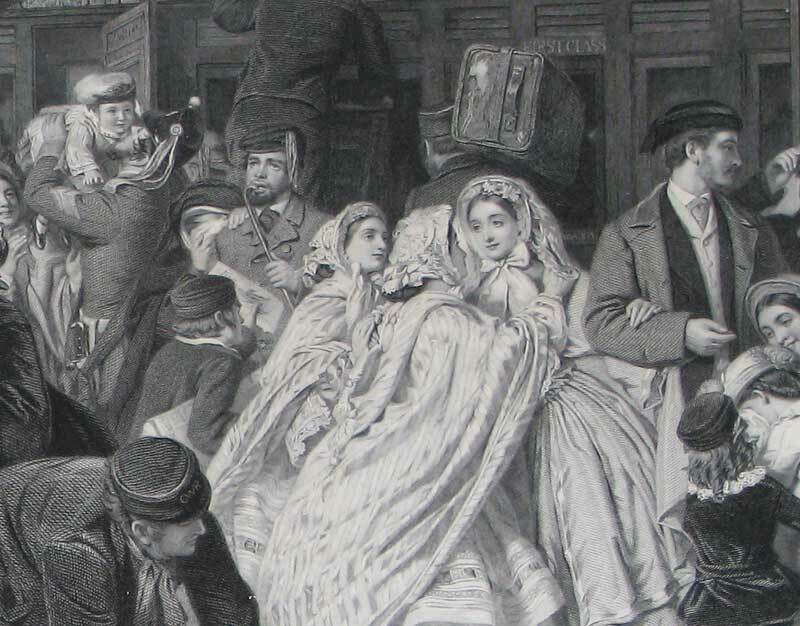 To their left a bride and groom prepare to head for Scotland on their honeymoon but not before the bridesmaids have wished them well. 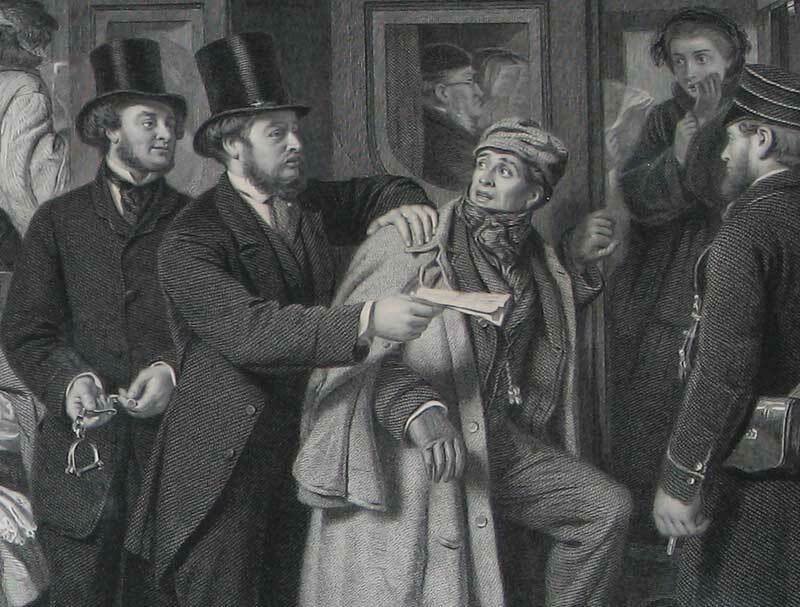 A not so salubrious scene is unravelling to the far right where a well-known criminal is apprehended by Haydon and Brett, two famous Scotland Yard detectives, and putting the kibosh on his plans to flee to Scotland and evade justice. The original oil painting was so popular in its time that once it had been exhibited in London to great acclaim it went on international loan to cities as far flung as Paris and Philadelphia. 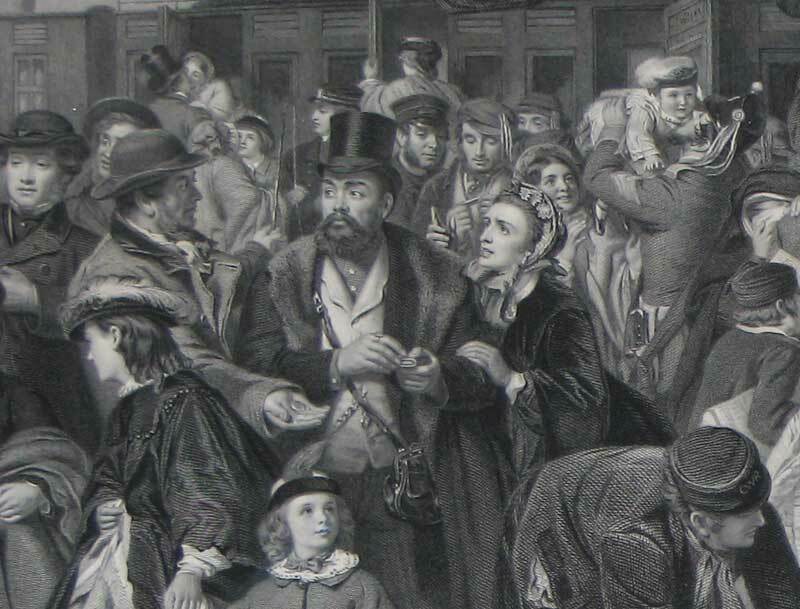 There followed a demand for printed copies so Frith engaged the talents of Francis Hall to complete the etched plate. The print went on to bring further popularity to this iconic image.